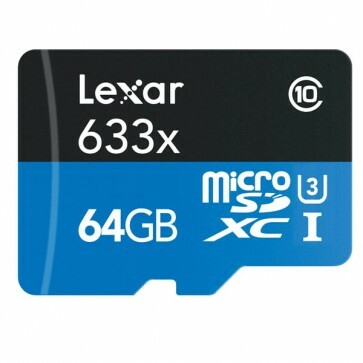 Designed for your sports camcorder, tablet, or smartphone, Lexar® High-Performance microSDHC™/microSDXC™ UHS-I cards (633x) make it easy to quickly capture play back, and transfer 1080p full-HD, 3D, and 4K video, as well as the highest-quality movies, photos, and songs. These high-capacity, Class 10 cards leverage UHS-I technology to deliver high-speed performance—up to 633x (95MB/s). * These premium memory solutions give you the speed and space you need to capture more adventure on the go. Do more with your multimedia. Also great for use with your tablet or smartphone, Lexar High-Performance microSDHC/microSDXC UHS-I cards (633x) make it easy to quickly download or save all your favorite media files, including the highest-quality movies, photos, and songs. Get more from your device. Performance microSDHC/microSDXC UHS-I cards are speed rated at Class 10, and leverage UHS-I technology to deliver a transfer speed up to 633x (95MB/s). These premium memory solutions give you the speed and capacity you need to capture, transfer, and share more adventures on the go. Lexar Performance, Quality, Compatibility, and Reliability. All Lexar memory card, card reader, and USB flash drive product designs undergo extensive testing in the Lexar Quality Labs, facilities with more than 1,100 digital devices, to ensure performance, quality, compatibility, and reliability. For more than 15 years, Lexar has been trusted as a leading global brand of memory solutions. Our award-winning lineup includes memory cards, USB flash drives, readers, and storage drives. With so many options, it’s easy to find the right Lexar solution to fit your needs. *Up to 95MB/s read transfer, write speeds lower. Speeds based on internal testing. x=150KB/s. **Based on 64GB capacity. 8-megapixel JPEG. 128-kbps MP3 audio. HD 1080p@24fps (5 Mbps). Actual number of photos, songs, and hours will vary depending on camera/device model, format resolution and compression, usable capacity, and bundled software. Some of the listed storage capacity is used for formatting and other purposes and is not available for data storage. 1GB equals 1 billion bytes. 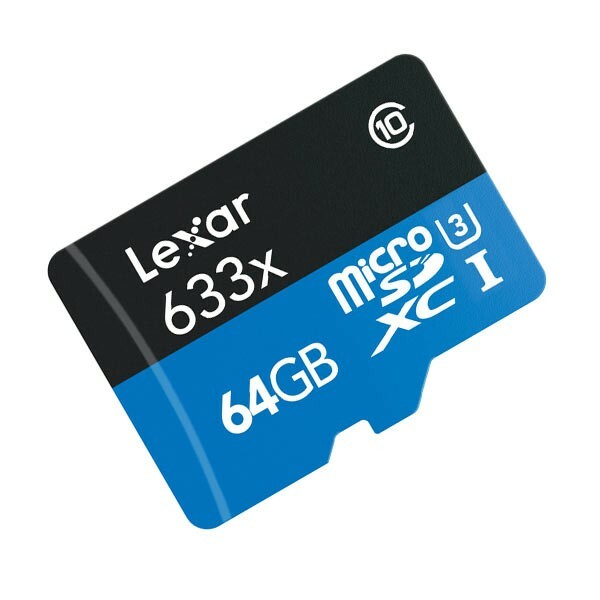 For more information, go towww.lexar.com/capacity. NOTE: Product appearance, software offerings, and packaging may vary depending on ship date and available inventory.